Women Living Naturally was created to give you as much pertinent information as can be found on the subject of women's hormone issues. Permission is granted to make and distribute verbatim copies of any of our publications or web content provided this paragraph, including the above copyright notice, is preserved on all copies. 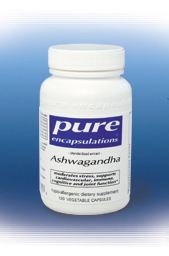 Ashwagandha increases energy, stamina and overall mental & physical well-being. Reduces the effects of stress, enhances memory and cognitive function.